Summer is here and many online games like to get in the spirit of sun, sand and beach. The Soulworker Online summer costumes are coming to the Korean version and the first teaser was revealed a few days ago. This update is expected to land tomorrow, July 26. While it doesn't seem to bring much in the way of new costumes, hopefully there will be a few surprises in store. 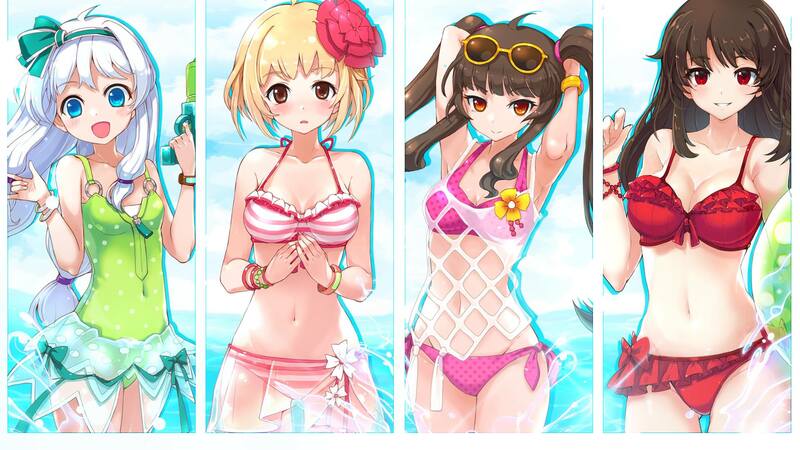 Developer Lion Games released a new Soulworker summer artwork below, featuring the current four leading ladies. From left to right: Stella Unibell (Howling Guitar), Haru Estia (Soulum Sword), Lily Bloommerchen (Myst Scythe) and Iris Yuma (Hammer Stol). Are they cute or what? Soulworker Online is coming to North America and Europe, Gameforge announced ages ago. News on the western version were promised recently a few times, but nothing so far. In the meantime, a Soulworker Online mobile version was made available in China. Life is unfair.